FlexIRON™ is a magnetic receptive material that attracts all types of low profile magnets, including flexible magnetic sheeting and strip, plus ceramic and neodymium magnets. 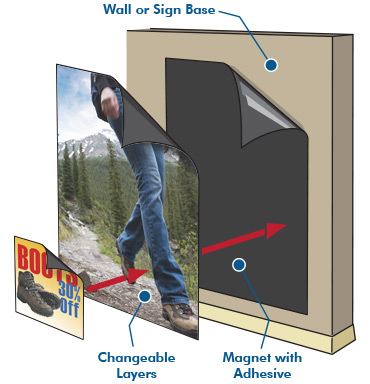 Both sides of FlexIRON™ (front and back) attract magnets. This material also can be printed on for wall graphics that can be used for magnetic boards. Looking to attract attention? Start a project with us today and let us know what you need - we are always happy to be of assistance!